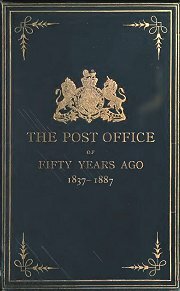 Documents (from both official and private sources) relating to the great Penny Postage reforms of 1840 and their aftermath. See also Parliamentary Reports. The famous pamphlet that started it all! The main "Chalmers-Hill controversy" partisan!